There’s this whole part to parenting where it some children seem to need constant reminders on what to do, when to do it and how to do it. You know the one, where you need to keep repeating yourself before your child finally moves a muscle? You nag, threaten, shout, reprimand, warn and yell on a daily basis just to get through to him. The thing about parenting is that there’s no other way other than learning on the job – initially. And when it comes to punishment and discipline, one of the most common beliefs is that punishment will change a child’s bad behaviour. I have worked with children and families for several years now. Lately, most of my clients have been parents going through divorce; some are concerned about their children’s change in behaviour while others have been court ordered to attend the Triple P (Positive Parenting Program) course which I run. There are also those parents who are about to embark on the divorce process, or separation, who want to know how to handle the “announcement” for the children’s sake. The 7 parent practices that I mention below are for any parents going through divorce or separation. 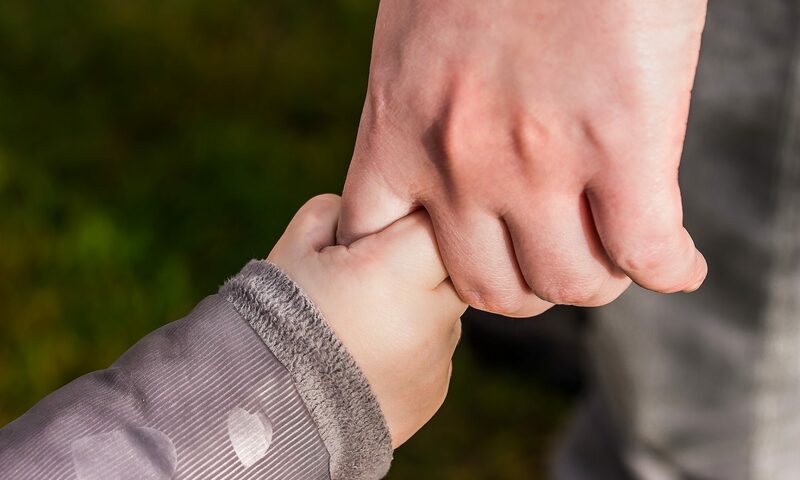 You may be right at the start of the divorce process or right bang in the middle, either way these are some crucial tips that will play a role in helping children cope with divorce…and ultimately, you too. Don’t alienate the other parent from the children. Don’t become the toxic parent. However much you feel enraged by what your ex did, didn’t do or is doing to you, don’t interrupt his or her relationship with the children. It doesn’t help your children in any way. All it does is aggravate the already demanding emotional and mental journey that they are living through. So can you do this? Can you allow them to continue having a relationship with their other parent despite how you feel? Can you give them that? Don’t project a personal agenda onto your child. Don’t use your children to get something from your ex. Completely keep your children out of your divorce or separation plans and goals. Don’t use them as messengers, spies or mediators so that you can get more information that will then work in your favour. The don’t like this and when you question them when they come back home after spending time with their other parent, they know what you’re doing and it puts them in a very, very difficult position. If you don’t want your ex partner to know something about you and your new personal life, then keep it away from your children. Don’t tell them, show them etc and then ask them to keep it a secret from daddy or mummy. Exactly where are they supposed to put it except inside they minds, hearts and thoughts. Then what? That’s not fair on them at all. It may work for you, but it hurts them. You don’t want anyone else to hurt your children, then don’t it yourself. When parents make their children feel guilty for having fun with the other parent, your children may begin dreading coming home to you as they won’t be able to share their day’s fun with you. They know it will only hurt you so they don’t talk about it. Or what they may do, is tell you how horrid it was or how bored they were with the hope of making you feel better or good that they missed you or whatever and it may work for a bit until they learn that you brought up their “terrible” experience when you spoke with your solicitor and tried to use it as a means of limiting the amount of time your ex spends with the children. Truth is, unless you avoid projecting a personal agenda onto your children, they will definitely be left picking up the tab for you running an emotional agenda. Is this what you want for them if it means you get what you want? Don’t tell your children about the legal details. They really don’t need to know how much child maintenance your ex is paying you for instance. How does that information help them? If they ask, then be the parent and tell them that, that is something between you and their mum or dad. I’ve worked with parents who provide their children with so much legal information and then they wonder why their child’s behaviour toward the other parent is changing for the worse or why they are unable to concentrate in school. I recall the story of a child who would sit in class with his blazer on ready to leave because anytime the house would be sold and they would need to move far away. Or the one who would frequent the school nurse’s office with frequent stomach pains. The school nurse soon realised that these visits coincided with court dates. The child was always informed when his parents where going to court something he didn’t need to know about. All it did was make him sick, literally, with worry and anxiety. His parents had made it clear that it was the judge who was going to decide whom he was to live with. Don’t tell your children about your spouses secrets. Again, what would be the reason for doing this other than try and score points with your children and get back at your ex? How do you think they feel when you tell them something so deep about their mother or father. Do you believe that it washes off them like water off a duck’s back or do you imagine that it sinks in and just unsettles their inner being for a very long time? Of course doing so will hurt and anger your ex to no end – and I can only imagine that would be your goal – but truth is it will hurt, confuse, embarrass and cause unnecessary suffering to your children and for what? Don’t denigrate your child’s other parent in your child’s presence or within her earshot. Avoid, at all costs, making negative comments about your ex as a means of earning your child’s support or proving a point. It may work for you while they are little but they do grow up and they will see for themselves what game you were playing. What will you say then? Avoid marital conflict in front of your child. Of course this is easier said than done because at times, you just want to scream, swear and yell back and then slam the door shut or throw the phone out of a moving car! And it will happen. And when it does, it’s really ok to apologise to your child for having put them through that experience. Acknowledge that you did wrong. That goes a long way in making them feel safe again. But if it’s the order of the day, if conflict is a certainty at practically every exchange or transition, then you will need to find an alternative. Arguing and fighting in front of your children changes who they are. Can you imagine how anxious they begin to feel just at the thought that you and your ex are about to come face to face at the exchange? One parent told me how his 7 year old had started insisting that she be dropped off at the end of road so she can walk to her mother’s alone. This little girl was willing to fight her own fear of walking alone so as to avoid seeing her parents in conflict. If you constantly argue and fight, once it’s over and you each go your own way, try and think how your child is feeling before, during and even hours after it’s over. If it’s close to bedtime, how will this affect their sleep. Now realise that they feel like that at every exchange at every thought of his parents meeting up. Don’t use child as your support system. I’m unable to count the number of times I have heard parents tell me that if it wasn’t for the support they get from their child, they don’t know what they would do. Coping with divorce and separation is your job as the adult. Helping children cope with divorce and separation is your job as the parent. This is the time that you as a parent needs to show up. You need to provide a secure and caring environment for your child so that he or she can continue being the child that she is by you being the parent that you need to be. Your children need the space to grieve the loss of their family (and more) as they knew it. They need to know that when they come home or when you come home, they can lean on you, ask you questions, cry if they need to and demonstrate their anger and frustration when they feel like it. They need to do all this so that they can move on emotionally and mentally. So find your own support system. Find people whom you can call on to be there for you, be they family, friends or professionals. Look after you and you will be able to look after your little ones at this time when they need you most. What are the underlying principles of Triple P – Positive Parenting Program? Positive parenting really helps in dealing with most behavioural problems be it dealing with temper tantrums, toddler behaviour issues and much more. Is backed up by more than 30 years of ongoing research. So Mother’s Day is here and you won’t be with your children once again or maybe for the first time since you and your ex separated. Not at all an easy time but, at the risk of sounding unsympathetic, it is what it is. I have been divorced twice and yes there have been times when I didn’t get to spend some important days with my girls and it hurt and I felt alone – it’s normal and it’s okay. If you are in this situation for whatever reason, there are three things that you may want to try which I hope will help you cope better. Firstly, make plans for the day. Whatever they are, so you wake up in the morning knowing what you’re going to do. This could be anything but it should be what you would like to do. If you want to get up and do nothing then do nothing in your home and stay in your pjs the rest of the day. If binging on a TV series is what you would like to do, then go for it! I recall one Christmas, where I didn’t have my girls during the whole holidays as they had gone out of the country so I planned my days. On Christmas day itself, I got up, had a fab Champagne breakfast. I then got really cozy on the sofa and started my Downton Abbey marathon! I had bought good food and great wine and so for the next two days, 25th and 26th, I did nothing but watch and eat. I spoke with my girls and although they were concerned that I was on my own, I was able to tell them and show them that I was absolutely fine. From 27th onwards, I went out and met with friends and did touristy London things that I have always wanted to do. But if on Mother’s Day you would like to hang out with people then ask! But be sure to ask those whom you know are very, very unlikely to say no. Finally, create your own Mother’s Day experience. Do something outside the home that you would like to do or have always wanted to do. This year, I get to spend the day with my youngest child and her dad (my ex). If this wasn’t going to happen, I had planned to go hiking outside London for the day, because that is something I thoroughly enjoy. So, if you are not with your children this coming Sunday, know that it is ok to feel sad about it but also realise that you can do something about it that will make you happy. Whatever you decide to do, just let the children know that you are happy doing it. They will need to know that mummy is ok and you’re the only one who can show and tell them this. Believing that you are sad at home alone only makes them sad and I’m sure that’s not what you want for your little ones. Happy Mother’s Day! Make sure you have one!! When going through divorce and separation, most parents try their best to ensure that their children are all right while struggling with all kinds of emotions, thoughts and feelings. I have been through divorce, twice, and although the first was over 20 years ago and the second over 11 years ago, I can still recall poignant moments that have caused me to turn to my children and apologise for having put them through such difficult and life changing times. Truth is no matter how much you try, divorce or the physical separation of the parents, will always be a watershed moment for the children. They may not remember the date, time and how it happened, but they will know that their home is not as it used to be. Something has changed. There is nothing I found more difficult than being civil to my exes, at a time when I would have much rather have them vanish as though wings sprouted from their shoulders and the wind carried them far, far away, never to return. I’m sure they felt the same about me. You can never take the place of the other parent. As often as possible, I would try and look at challenging situations through my children’s eyes. I don’t say this figuratively speaking but literally so. I would sometimes, actually close my eyes, so I can get “in there” and that experience would help steer me back to protective parent mode. When you are in “that place”, you know the one where you feel nothing but sheer disdain for your ex or your soon-to-be-ex, bring your child’s image into focus. Think about who they are, that they never chose this. That they live with hope, belief and conviction that you, not only as the adult in the room, but more importantly as their parent, will always do the best thing for them, even when it suits you in the very, very least. If you are purposefully and voluntarily interrupting and disrupting your child’s life by keeping your ex away ask yourself why. Ask yourself who is the best person to create a better future for your children now that the separation has happened. Who is best placed to remove all anxiety, discontentment, confusion, unpleasantness and sadness from your child’s life better than you. What will it cost you to say yes to putting them first? What will it really, truly cost you? What would it mean for your children to come home from your ex’s, to open arms, kisses and hugs (as much as you hated them being away) ready to listen and hear how their time went? How will not fighting or arguing in front of your children work for them? How will it hurt you to avoid confrontation while they are there – goodness, by all means call, text, WhatsApp, email each other once the children are in bed and call each other all the names under the sun if you want, but keep them out of it, don’t let them hear you and don’t let them see you. Remember, a persistent caustic and conflict-ridden environment changes whom your children are. Think about that. If you’re struggling with coping with divorce and separation then do let me know. You really, really don’t have to deal with it on your own. Behaviour Issues in Children – What Happens when you don’t Seek Help? Over time, I have had calls from parents seeking help/advice about managing their child’s problematic behaviour. Some parents I have ended up working with over a few sessions, others we have managed to deal with the situation over just two sessions while others have said they will get back to me…and never did, which is fine if they managed to sort the problem out but what if they didn’t? I’m thinking of one such parent, at the moment, who got back in touch with me a couple of weeks ago. The first time she we spoke was back in 2014; it was about her then 10-year-old. Since the divorce, she’d explained, her son’s behaviour had slowly started to change. He was becoming defiant and was lying more and more. His school work, which had once been exemplary, was now deteriorating very fast. We spoke for an hour and at the end of that session, we agreed on a specific day and time in the week, that we would be working together. I never heard back from her…until two weeks ago. By this time, her son, now 13, had been excluded from school, was smoking and staying out all night if he wanted to. The police were involved and so were social services. This is by no means the only time this type of thing has happened and unfortunately, with each one case, the situation would have been remedied or corrected while it was still “easier” to do so. So, if you’re concerned about your child’s change in behaviour, please, please do something about it. “But it’s just a phase,” I hear you say. Maybe so, but many behaviour problems are not always expected, predictable and a necessary part of normal development. Find out how to manage it and deal with it before things get a whole lot worse – not just for your own peace but especially for your child too. Who knows what is going on for your child? Whatever it is, don’t wait until you’re in a crisis to come up with a crisis plan. If I may borrow Triple P (Positive Parenting Program) fab slogan – Small Changes, Big Differences. The Triple P – Positive Parenting Program® is one of the world’s most effective parenting programmes. It is one of the few based on evidence from ongoing scientific research. Developed by clinical psychologist Professor Matt Sanders and his colleagues at Australia’s University of Queensland, Triple P has been tested with thousands of families through ongoing research for more than 30 years. More than 580 trials, studies and published papers, including more than 200 evaluation papers, 104 of which are randomised controlled trials, have shown it works across cultures, socio-economic groups and in many different family structures. Triple P is designed to give parents the skills they need to raise confident, healthy children and teenagers and to build stronger family relationships. Triple P doesn’t tell people how to parent. Rather, it gives parents simple and practical strategies they can adapt to suit their own values, beliefs and needs. The benefits can be dramatic and long-lasting. “Children who grow up with positive parenting are more likely to develop the skills they need to do well at school, build friendships, and feel good about themselves,” says Professor Sanders. Triple P is distinctive in that it is not a “one-size-fits-all” course. Rather, it is a system that offers increasing levels of support to meet parents’ different needs. Parents can choose anything from one-off public seminars or self-help books and DVDs to more intensive group courses or individual counselling sessions. “Some parents may just need a light-touch of Triple P, a few ideas to help them set up a better bedtime routine or manage occasional disobedience,” says Professor Sanders. This Triple P approach guards against over-servicing and over-spending, which is good for parents and good for budgets. Triple P has also been designed as a population-based health approach to parenting – typically implemented by government bodies or NGOs (non-government organisations) across regions or countries with the aim of reaching as many people as possible. It is often delivered through health, families or education departments. Practitioners come from a range of professions and include doctors, nurses, psychologists, counsellors, teachers, teacher’s aides, police officers, clergy, social workers, health visitors, public health and school nurses, midwifes and health support workers. The concept, once again, is to provide easy access, support and choice for parents. “Parenting is the most difficult job any of us will ever do in our lives, but it’s also the one we’re least prepared for,” says Professor Sanders. “By making parenting information more widely available we’re increasing the likelihood that parents will accept or seek out help. Offering Triple P is like immunising the community. Triple P – Positive Parenting Program has won numerous international awards, including the Australian Heads of Government National Violence Prevention Award and Professor Sanders has been a consultant to the World Health Organization and the Council of Europe and to governments in countries including the UK, Canada, Australia, New Zealand, Switzerland, Japan and Iran. Triple P - Why are Children Disobedient?